For the last year, Venomous Motorcycles has been doing some serious research and development on tracking devices so we could offer a little extra protection to for our clients from having their American dream vanish into thin air. To assist in the endeavor we purchased and tested out several different models of vehicle tracking devices by different manufacturers. To our surprise, some devices worked and some did not. Some wouldn't even come close to locating the bike after being installed. We couldn't believe it! One had the bike located 5 blocks from where it really was at. Out of all the devices tested there was one in particular which stood out while being tested. All the research we did, in the end, it seems paid off which brought us right up to being able to not only secure and have access to the tracking system software to be used specifically in our website but we were also able to have the system become an intricate part of the website itself. One of the concerns about this program was getting into something that would not change down the road or become obsolete when a company goes out of business etc. 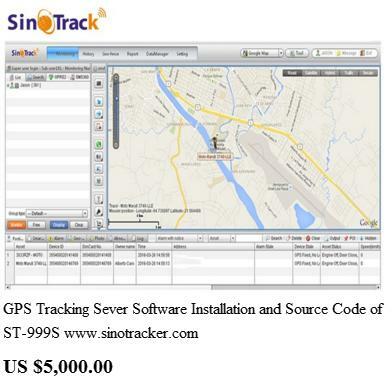 More research netted the ability to use the tracking software platform for a lifetime once a client purchases one of our GPS Trackers. This was important. This addition to our website is not only going to boost traffic but will perhaps, in the end, put Venomous Motorcycles on the map in more than a few ways.